This time of year is my favorite! Mostly for the delicious treats and yummy goodies ;) We try to watch ourselves with how much dessert we are eating, but it can be difficult when people are dropping treats off at the house, when someone brings lots of sweets to your work, or all of those holiday get togethers. 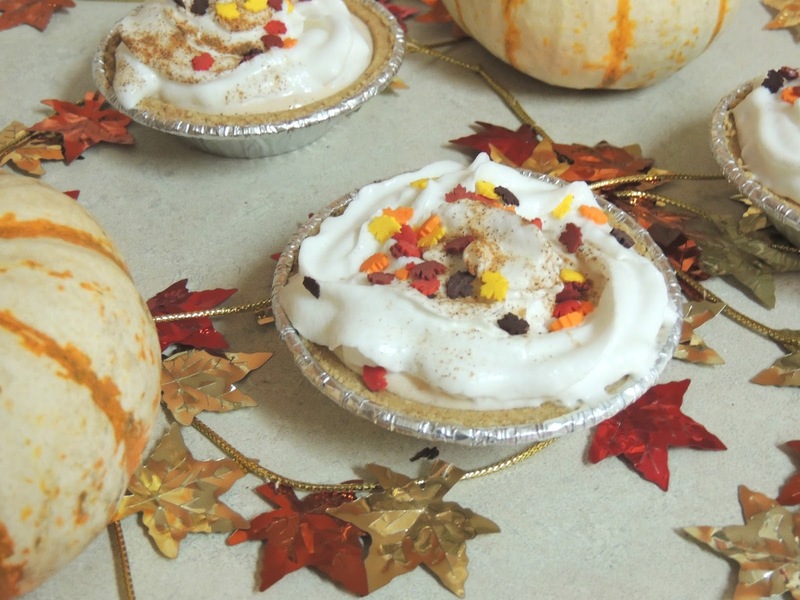 These pies are a great healthier option that is so simple to make. These effortless mini pumpkin pies are perfect to serve at one of those get togethers or to drop off to your neighbors. You may find yourself making them several times! 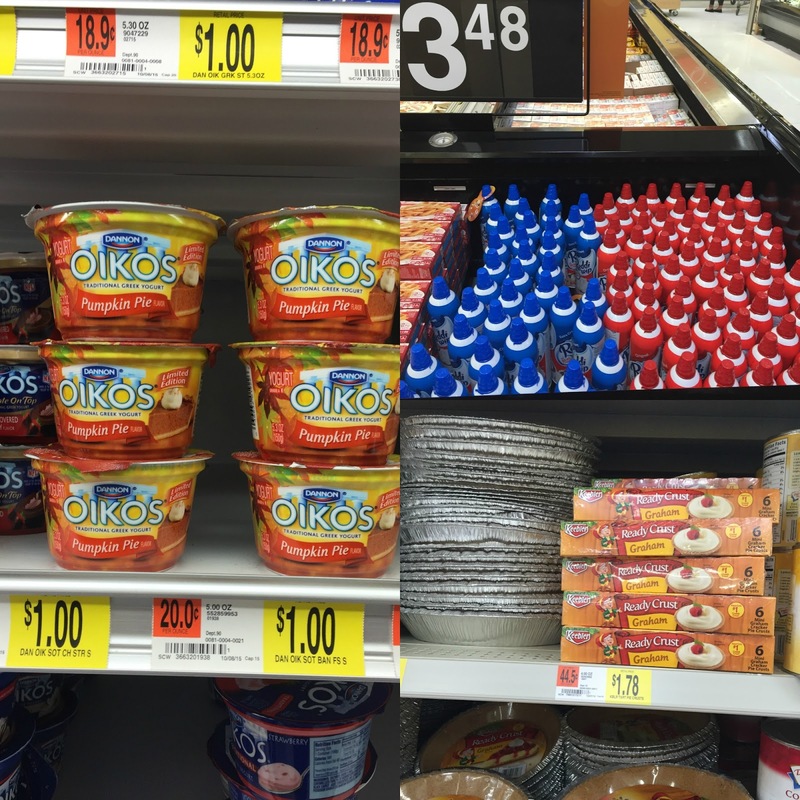 I first went to my local Walmart and picked up a Dannon® Greek Yogurt; Oikos® Pumpkin Pie Greek Yogurt, a Keebler® Ready Crust® Mini Graham Cracker Pie Crust, and a Reddi-wip® Original. 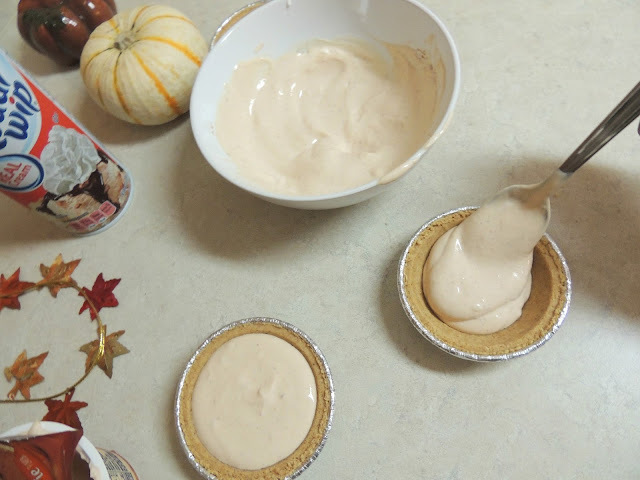 I also used some pumpkin pie spice and Fall sprinkles. 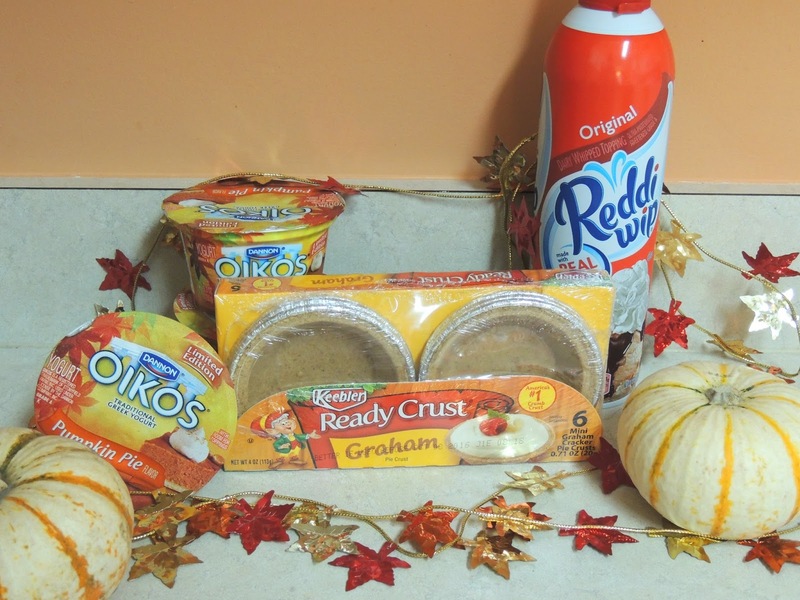 Depending on how many you want to make, for one pie I scooped around half of the Dannon® Greek Yogurt; Oikos® Pumpkin Pie Greek Yogurt out and put into the bowl. 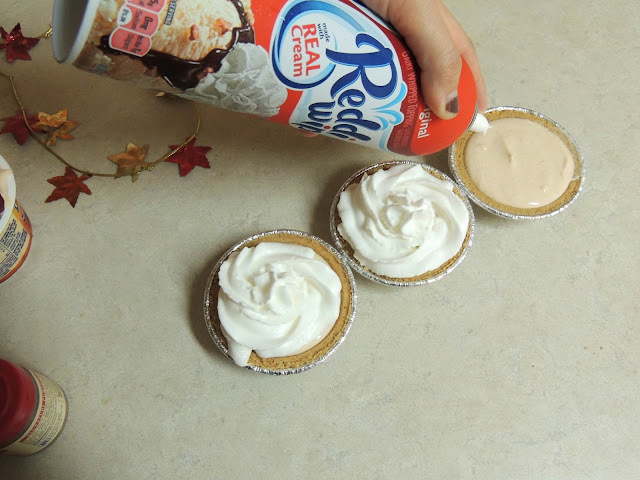 Then a couple sprays of the Reddi-wip® Original. 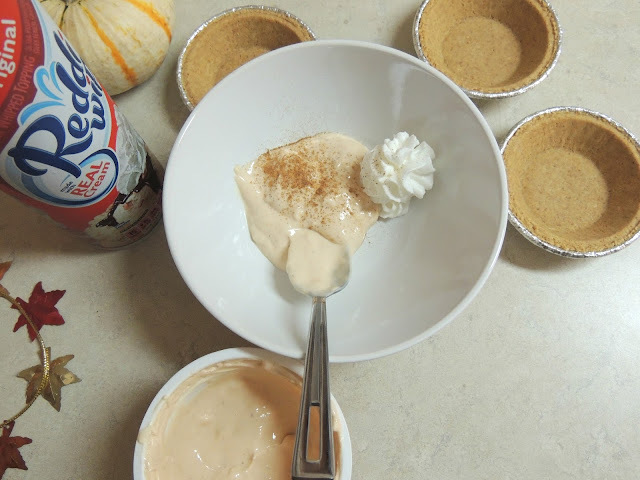 Also a dash of some pumpkin pie spice into the bowl. Next I mixed everything and started spooning into the Keebler® Ready Crust® Mini Graham Cracker Pie Crusts. Put in the freezer for about 30-60 minutes. Keep an eye on them because they will freeze faster since they are smaller in size. Lastly, top the pies with some more Reddi-wip® Original and sprinkles of your choice! Three main ingredients, effortless, and delicious! 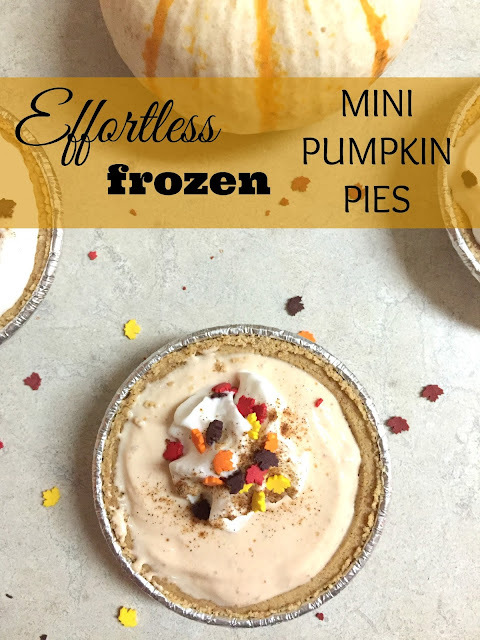 How would you make your effortless mini pies?! AHHHH those look delish! i have to try!